USYS Presidents Cup Region 1 Champs! 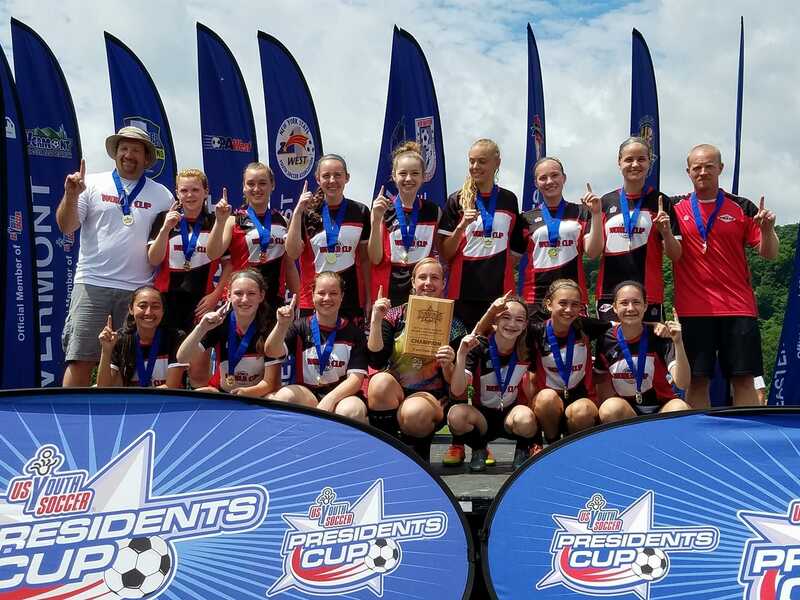 Congratulations to the NWC G2002 Elite team for winning the 2017 US Youth Soccer Region 1 Presidents Cup Tournament! The 3-day tournament featured over 100 US Youth Soccer Region I teams that had won their respective State Presidents Cup events from 15 US Youth Soccer State Associations - Connecticut, Delaware, Eastern New York, New York West, Eastern Pennsylvania, Pennsylvania West, Maine, Maryland, Massachusetts, New Hampshire, New Jersey, Rhode Island, Vermont, Virginia and West Virginia. Good luck at the 2017 US Youth Soccer National Presidents Cup FInals, July 12-16 in Auburndale, FL.